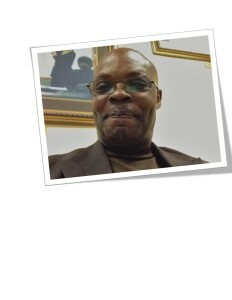 Join Apostle Larry Washington on The Teaching Moment Broadcast at 6:30am / 11:30am / 5:30pm. Are you tired of hearing preaching that tells you what God is going to do, but does not explain how? Folks that is not Faith, The New Creation (Believers) in Christ need to know what God has already done for you so that you can applied the Word of God to bring it to pass in your life. The Covenant is already in place, Faith is now, now faith is the substance, the Bible says The Just shall live by faith. Folks EACH teaching series will increase your understanding and bring you revelation in understanding your true identification in Christ Jesus. 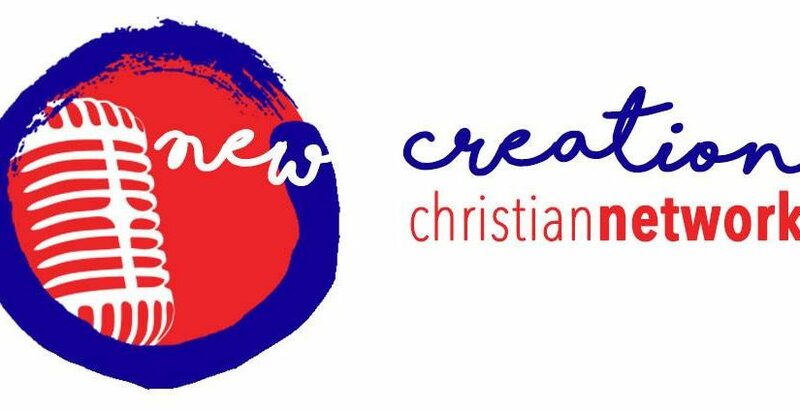 Visit us at www.newcreationnetwork.org / Download The WNCN MOBILE APP on GOOGLE PLAY and The APP STORE and Prepare to be Blessed. Saints of God the Grace Experience, Which I will call the “Garment of Increase” that is perpetuated ALL OVER THE RIGHTEOUS in Christ, what am I saying? The DIVINE INFLUENCE of The Kingdom of God is MANIFESTED as “A Garment OF INCREASE” it is seen more and more when you The Believer’s grow and walk in the knowledge of God….. Lets take a Look at what the Spirit of God told to Joshua……. Joshua 1:8 Study this Book of Instruction continually. Meditate on it day and night so you will be sure to obey everything written in it. Only then will you prosper and succeed in all you do. Study and Meditation OF THE Word of God ACTIVATES THE POWER OF GOD as a magnification of the grace of God in those believers that walk upright. Never in the Word of God does it tell the BELIEVER IN CHRIST to LIVE LIKE THE WORLD SYSTEM, it insteads tells us to come out of the world system. But it does say…..Hab 2:4 Behold, his soul which is lifted up is not upright in him: but the just shall live by his faith. Walking by Faith is the SPIRITUAL PROTOCOL for the Believer in Christ. The Bible says in……Eph 1:3 All praise to God, the Father of our Lord Jesus Christ, who has blessed us with every spiritual blessing in the heavenly realms because we are united with Christ. Saints of God you are NOT GUILTY, NOT GUILTY, NOT GUILTY, Not only are you The Righteousness of God in Christ, but the MANIFESTATION OF DIVINE GRACE (FAVOR) is MAGNIFIED in Your Life when you walk in Obedience to The Word of God. Look WHAT KING DAVID said in the Old Testament……Psa 37:25 I have been young, and now am old; yet have I not seen the righteous forsaken, nor his seed begging bread. The Key WORD here is “RIGHTEOUS”……A Righteous Man or Woman of God is HOLY IN HEART, THEY observe THE DIVINE COMMANDS in PRACTICE, because there Heart is DIPPED IN HOLINESS. They are RICH IN GRACE, they do not need anything from the World System because all of there NEEDS are met and overflow through the activation of The Power of God that rest upon them, there lives are an Living EXTENSION OF THE MANIFOLD WISDOM OF GOD on the earth. Holiness brings Obedience, Obedience activates divien favour. The Just SHALL Live by Faith in the Word. Isa 59:1 BEHOLD, THE Lord’s hand is not shortened at all, that it cannot save, nor His ear dull with deafness, that it cannot hear. Isa 59:2 But your iniquities have made a separation between you and your God, and your sins have hidden His face from you, so that He will not hear. Note: To The Gentile unbeliever, God is still God, and yes you are probably wondering where is he in your life, well like the scriptures say, he cannot get into your life unless you lower your defenses that is keeping him out. God will not barge in, he must be invited in into your heart Glory to God. Many are disqualifying themselves by saying that they are set in their ways, and that you are fine with the way your life is, well I will have you know that there is a better life in Christ. God loves you so much that he will pour his Love into you and uproot your old ways and establish you in his new ways that are filled with an inner peace and joy that that you presently do not enjoy. Heb 8:10 For this is the covenant that I will make with the house of Israel after that time, declares the Lord: I will put my laws in their minds and write them on their hearts. I will be their God, and they will be my people. Heb 8:11 Never again will everyone teach his neighbor or his brother by saying, ‘Know the Lord,’ because all of them will know me, from the least important to the most important. Saints of God we need an Understanding and Revelation of our Right Standing with God, when we know who’s we are and Who we are in Christ, sin consciousness will not be a problem….. We need to AWAKE TO OUR RIGHT STANDING with The Father as Sons and Daughters of the Most High so that Sin Consciousness will not dominate our conscience. SIN CONSCIUOSNESS IS A CANCER TO OPERATING IN IMPARTATION FAITH. Heb 4:8 For if Joshua had given them rest, then He would not afterward have spoken of another day. Heb 4:9 There remains therefore a rest for the people of God. Saints of God we must continued TO bombard Heaven to complete the shift of a tide of demonic persecution that was being waged against the Body of Christ through the demonically influenced democratic ideology of the present administration. if you HAVE noticed in the last few days (those of you with spiritual discernment) A dark demonic cloud weight evaporated in the Heavenlies over this region. I will call it a Reprieved From Persecution, The Father has more to do in this hour, I would tell the believers that are not IN LINE WITH GOD’S WILL, to open your heart and BECOME TEACHABLE IN THE HOUR OF THIS REPRIEVE, because when the Church of Jesus Christ is taken off the earth, The Reprieve will be lifted and full persecution of those left behind will be UNHINGED. If you stay in the religious attitude of pleasing the world and not obeying the Gospel, you will continue to miss God and be deceived by the devil. there is no middle ground. Some of you thought that you was voting for a change in Hillary when actually you would have been voting for your own persecution. (I am not able to explain this in a Spiritual sense because you are still yet carnal, meaning you would not understand if I went into spiritual details, so I will keep it level on this one). A supernatural Birth produces supernatural children, you were made for the supernatural. A combination of Supernatural Grace + Supernatural Faith + Supernatural Knowledge will always come out to SUPERNATURAL RESULTS. The Natural man does not have faith, however the sense knowledge faith that he does have can only be used to BELIEVE ON THE LORD JESUS CHRIST TO ACCESS SALVATION IN CHRIST…..
Rom 1:17 For in the Gospel a righteousness which God ascribes is revealed, both springing from faith and leading to faith [disclosed through the way of faith that arouses to more faith]. As it is written, The man who through faith is just and upright shall live and shall live by faith. From that point on the New Birth gives him an impartation of the GOD KIND OIF FAITH as one of the gifts of God’s grace…..Rom 12:3 For I say, through the grace given unto me, to every man that is among you, not to think of himself more highly than he ought to think; but to think soberly, according as God hath dealt to every man the measure of faith. He does not have to go and get faith, he ONLY NEEDS TO EXERCISE IT, THROUGH THE believing, speaking, confessing, meditation and study and praying The word, Faith is not required because is INHERENT IN THE BELIEVER UPON THE NEW BIRTH. Jesus knew the Word of God and He JUST SPOKE IT, it was EQUIPPED WITH FAITH, as he was, as he is and AS HE IS THE SAME YESTERDAY, TODAY, and FOREVER. YOU CHILD OF GOD, HAVE BEEN GIVEN THE MEASURE OF FAITH IN Romans 12:3. Now lets go to some inheritance scriptures that allow US to DOMINATE CIRCUMSTANCES…….when you know them you will be fully persuaded to BELIEVE AND WALK IN THEM AMEN. RIGHTEOUS- Just; accordant to the divine law. Applied to persons, it denotes one who is holy in heart, and observant of the divine commands in practice; as a righteous man. The Bible says in Philemon 1:6 And I am praying that you will put into action the generosity that comes from your faith as you understand and experience all the good things we have in Christ. The KEY to Walking in the Fulness of The Divine Influence IN YOUR LIFE as Children of the Most High is to Come Out OF Natural thinking. You are already in The Family of The FATHER. He Has already GIVEN YOU SUPERNATURAL FAITH…..Rom 12:3 For by the grace (unmerited favor of God) given to me I warn everyone among you not to estimate and think of himself more highly than he ought [not to have an exaggerated opinion of his own importance], but to rate his ability with sober judgment, each according to the degree of faith apportioned by God to him. Saving a Nation in the Supernatural. Saints of God this is a Timely Opportunity to elevate the Kingdom Agenda and Purposes for the plan and will of God to go forth and elevate this nation to the level for which she was called. Father we thank you and praise you that the PRAYERS OF THE RIGHTEOUS AVAILETH MUCH IN THIS HOUR, We called upon you and you answered, against all demonic obstacles your GLORY SHINETH FORTH and stamped out the darkness that was waged against us. Your Servant David said….Psa 37:25 I have been young, and now am old; yet have I not seen the righteous forsaken, nor his seed begging bread. You also Said……Mat 16:18 And I say also unto thee, That thou art Peter, and upon this rock I will build my church; and the gates of hell shall not prevail against it. Your plans and purpose is not yet complete for it is was we will have been gathered unto by now, my petition right now Is that you BRING UNDERSTANDING AND PRICK THE HEARTS of those who are on the wrong side of your will, I DECREE that EYES THAT WERE CLOSED SHALL BE OPEN, those that were in doubt be BROUGHT TO BELIEVE ON YOUR NAME. Satan you are a defeated foe, you have lost and you will continue to lose as far as the Church of Jesus Christ is concerned. (The Authority and Dominion of the Righteous has the inherent power to cause you to obey our every command in Jesus name). Lord I pray that the harvest be brought forth in droves from every nation, kindred and tongues. We DECREE THAT BLINDED EYES ARE BE OPENED and those who are bound by deceit, BE UNBOUND and led to the truth of the Gospel NOW IN JESUS NAME. I decree that the lost will wake up and receive the LIGHT OF THE GOSPEL THAT IS ABLE TO SAVE THE THERE SOULS FROM ETERNAL DAMNATION, I decree a reversal of the number of the religious self-righteous and that they be transformation take place among there ranks. I loose warring angels according to Psa 103:20 Bless the LORD, ye his angels, that excel in strength, that do his commandments, hearkening unto the voice of his word. Psa 103:21 Bless ye the LORD, all ye his hosts; ye ministers of his, that do his pleasure. Continue reading Saving a Nation in the Supernatural. Posted on November 9, 2016 Categories End-Time EventsLeave a comment on Saving a Nation in the Supernatural.